King Charles II? Queen Anne? King James II? King William III? Apocryphal? 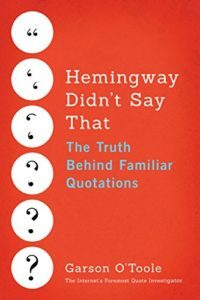 Dear Quote Investigator: There is a venerable tale illustrating the shifts that occur in the meanings of words over time. During the construction of the Cathedral of St Paul the monarch of England was taken on a tour of the edifice by the chief architect, Sir Christopher Wren. When the excursion was complete the monarch told Wren that the new building was amusing, awful, and artificial. Remarkably, Wren did not feel insulted; instead, he was greatly pleased. In the 1600s amusing meant amazing, awful meant awe-inspiring, and artificial meant artistic. Is there any support for the accuracy of this entertaining legend? Quote Investigator: There are many variants of this story involving different monarchs; for example, King Charles, King James, King William, and Queen Anne are sometimes named. The words with changing meanings include: awful, amusing, pompous, and artificial. The Cathedral of St Paul in London was built between 1675 and 1711 based on a design submitted by Christopher Wren, and this period overlapped the reigns of several monarchs in England. The previous cathedral on the site had been destroyed in a fire. There is solid evidence that a royal warrant from King Charles II used the phrase “very artificial” while praising Wren’s design. This usage might be the seed that resulted in an efflorescence of different tales in later years. The warrant authorizing the beginning of the construction of the Cathedral of St. Paul was annexed to the surveyor’s drawings, and the document was signed in 1675. … among divers Designs which have been presented to Us, We have particularly pitched upon one, as well because We found it very artificial, proper, and useful; as because it was so ordered that it might be built and finish’d by Parts: We do therefore by these Presents signify Our Royal Approbation of the said Design, hereunto annexed; and do will and require you forthwith to proceed according to the said Design, beginning with the East-end or Quire, and accomplishing the same with the present Stock of Money, and such Supplies as may probably accrue, according to the Tenor of the Commission to you directed; and for so doing this shall be your Warrant. Given at Our Court at Whitehall, the 14th Day of May, 1675, in the 27th Year of Our Reign. By His Majesty’s command, HENRY COVENTRY. Even his last design, approved by the King and ordered to be carried out, is wonderfully unlike what was really executed. Luckily he had liberty in the prosecution of his work to make some variations; and if his Majesty had lived to see what those variations became he would certainly not have recognised the design which in the royal warrant had been described as being very artificial, proper, and useful! The word artificial, we need scarcely explain, then meant artistic.